Two reviews in a row?!? Ah....it feels good to be reading again! So good! If I had to sum up The Family Man in one word, it would be: ridiculous. Sometimes the ridiculous-ness was funny...but other times it left me shaking my head. Henry Archer is the MC. I was a bit confused considering I'd classify the novel as classic chick-lit but I accepted his lack of boobies and kept going. A few paragraphs letter, it's revealed that Henry's a successful and lonely gay man. Naturally, this piqued my interest. Next up to meet is Thalia, Henry's long-lost stepdaughter from a marriage over twenty years before. No, they're not biologically related but Henry had a great relationship with Thalia until the marriage to her mother ended. Thalia's twenty-nine and an aspiring actress. Her stepfather (the man who her mother married after Henry) was mega-rich but when he died, he didn't leave anything to Thalia or her mother. An opportunity arises for Thalia to become the fake girlfriend of a down-and-out movie star. Nothing too scandalous but she's required to date him publicly and get their pictures in gossip magazines. Through a series of unbelievable coincidences, Henry and Thalia are reunited and she ends up moving into the apartment beneath his brownstone. Still with me? I know. There's a lot going on. Frankly, it was hard to keep up. The premise of the plot was good but there was WAY too much backstory needed to get me to care about the characters. Plus, there are about a zillion side-stories that make it hard to figure out exactly what's going on and how (or if) they're related to the main plot-line. It was simply too much for me. Maybe if the book focused on two or even three story-lines, I could have gotten into it more. That's not to say that I didn't enjoy it but I feel like things could have been streamlined. There's a lot of humour and some good one-liners but I wasn't able to really connect to the characters. 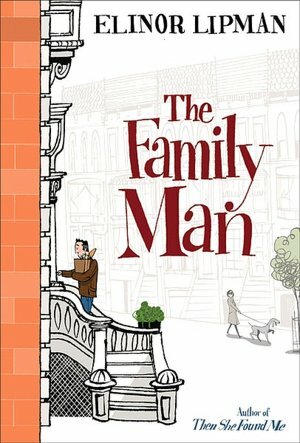 So, if you like detailed novels where you get to know a lot about each character (primary or secondary) then you'll probably love The Family Man. All in all, I'd give this book a solid 3.5 vanilla cupcakes with orange buttercream icing. It might not be for everyone, but for those who love the somewhat unusual combination of orange and butter, it'll be right up your alley. I think I might skip this one. Fun review though! good review and it sounds like the two i read this week (i wasn't that big of a fan of them either, more annoyed with the characters than enjoying them).